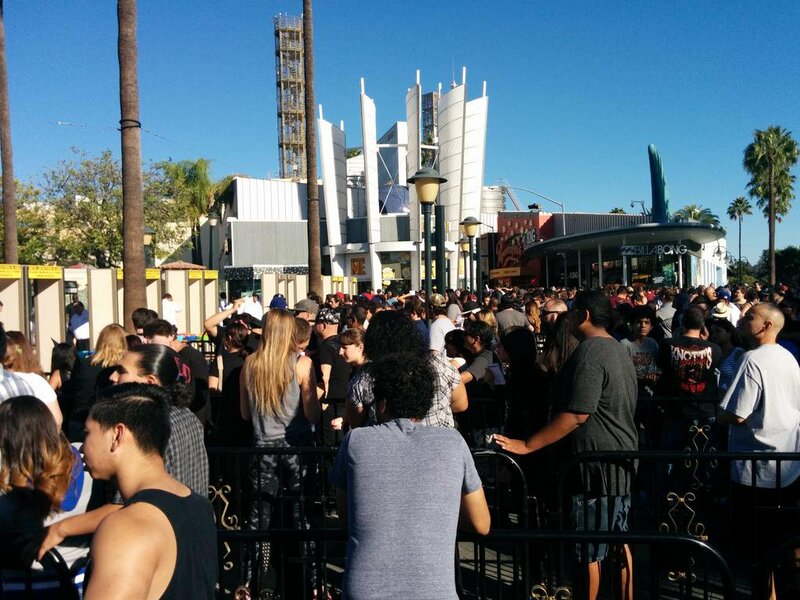 The scariest thing about Halloween Horror Nights isn’t the mazes — it’s the long lines! Halloween Horror Nights at Universal Studios Hollywood is one of the most popular Halloween events in the country. 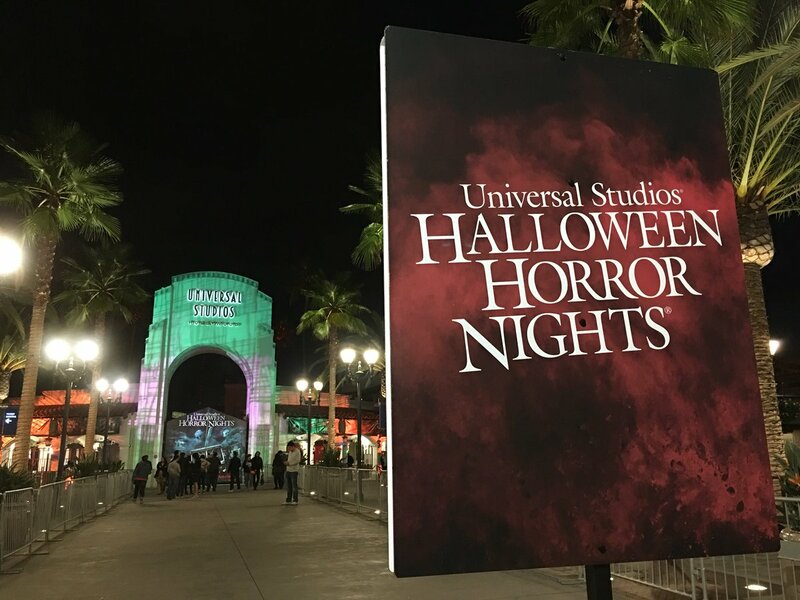 Every year on select nights from September to November, the event attracts hundreds of thousands of guests to Universal Studios looking to experience the spine-chilling mazes, terror tram, live show, and scare zones. It’s one of the most immersive Halloween events at any theme park, but what about the crowds? While Halloween Horror Nights may be best known for its movie and television-themed attractions, it’s also known for its sometimes ridiculously long lines. In fact, the event tends to be more crowded than Knott’s Scary Farm and Mickey’s Halloween Party at Disneyland. Even still, Halloween Horror Nights doesn’t have to be a miserably crowded experience. If you go on the right night, it’s still possible to enjoy manageable crowds and shorter lines. Check the Crowd Calendar to find out if Universal Express is worth purchasing or not. It’s a must on “Forget About It” dates and recommended on “Yup, It’s Packed” dates. You can probably get away without it on “Hey, It’s Alright” days. We can’t stress enough how important it is to arrive at Halloween Horror Nights early. We recommend arriving by 4:00pm to beat the traffic and have enough time to park. Then be sure to take advantage of Early Entry! While the event officially starts at 7:00pm, the park opens early at 5:00pm and select mazes open as early as 5:15pm. Early Entry is included free for all online ticket purchases, including general admission. On peak nights, Early Entry is the only way to get everything done without Universal Express or R.I.P. Tour tickets from our experience, so don’t miss it! Tickets and passes sell out frequently, especially in October, so be sure to buy your tickets early and in advance online. Purchasing ahead of time guarantees you admission on sold out nights, saves you from the hassle of waiting to buy tickets at the front gate, and grants you Early Entry. It’s a no-brainer. Just don’t forget to print your tickets out in advance or have them ready to be scanned from your mobile device. We think Universal Express tickets (formerly Front of Line) are usually worth splurging for on Friday and Saturday nights, especially in October. Universal Express includes admission to Halloween Horror Nights and one-time express access to each maze, ride, and seated show. Universal also offers the pricier R.I.P. Tour, which includes Universal Express Unlimited access to mazes and rides (express access as many times as you want), a guided VIP walking tour, and more. For the shortest waits of the season, go in September or November. Attendance at Halloween Horror Nights historically picks up in October and peaks around mid-October. Thursdays in September are usually some of the least crowded nights of the season, with 30-60min waits on average. Fridays and Saturdays in September tend to be more crowded (around 60min waits), but are still more manageable than later in the season. In October, try to go early in the month and aim for Sundays or Thursdays. If you visit on a peak night (Friday or Saturday), be prepared for the longest lines of the season (1-2 hour waits is the norm for mazes). By late October and early November, the big crowds die down significantly. 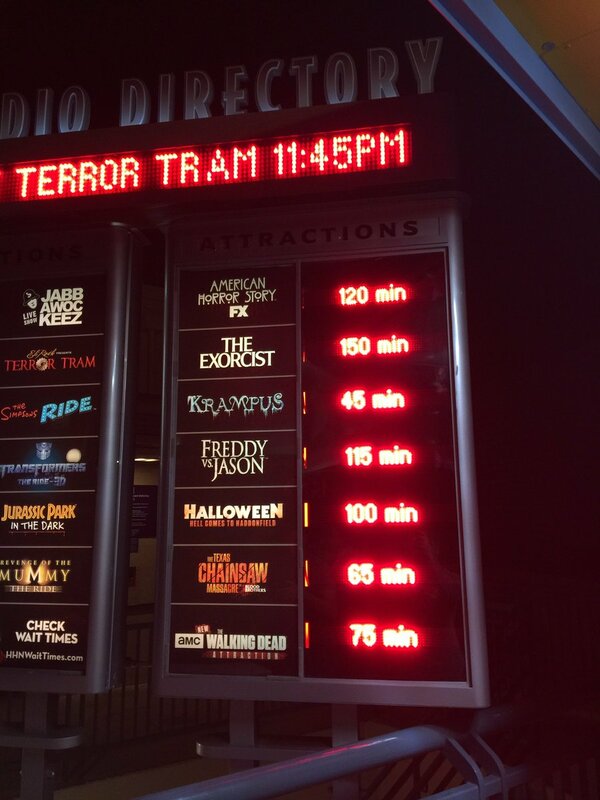 Around 30min waits is the norm during the final Halloween Horror Nights dates in November. For crowd predictions of all Halloween Horror Nights dates, be sure to check out the Universal Studios Hollywood Crowd Calendar. Have you been to Halloween Horror Nights? What was your experience like? Be sure to let us know in the comments below!